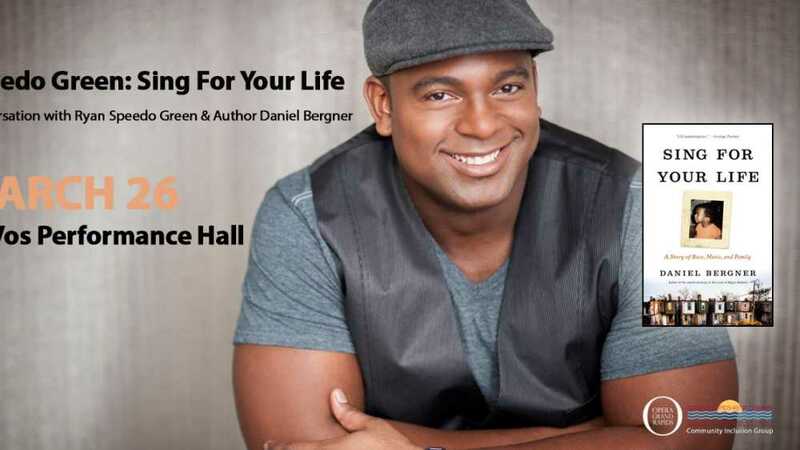 Join in the conversation between Met Opera singer Ryan "Speedo" Green and author of the biography Sing For Your Life, Daniel Bergner, discussing of a story of race, music and family. A touching and triumphant story of a young black man's journey from violence and despair to one of the world's most elite artistic institutions. Speedo will showcase his natural talent performing a few arias (long song accompanying a solo voice), followed by a Q&A session with Speedo Green and Daniel Bergner.